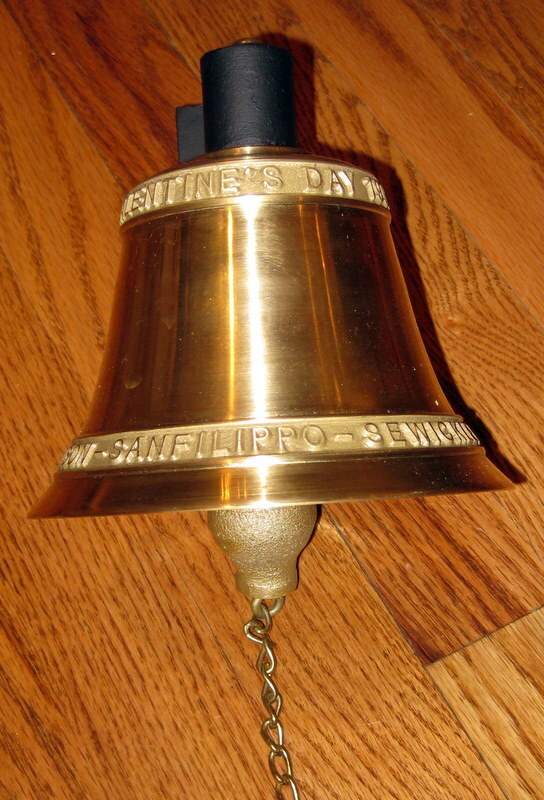 I had nothing to do with making this bell other than ordering it, but I want to post a very positive note about a craftsman that hand makes bells in Ohio. I love anything that is still made by individual craftsmen. 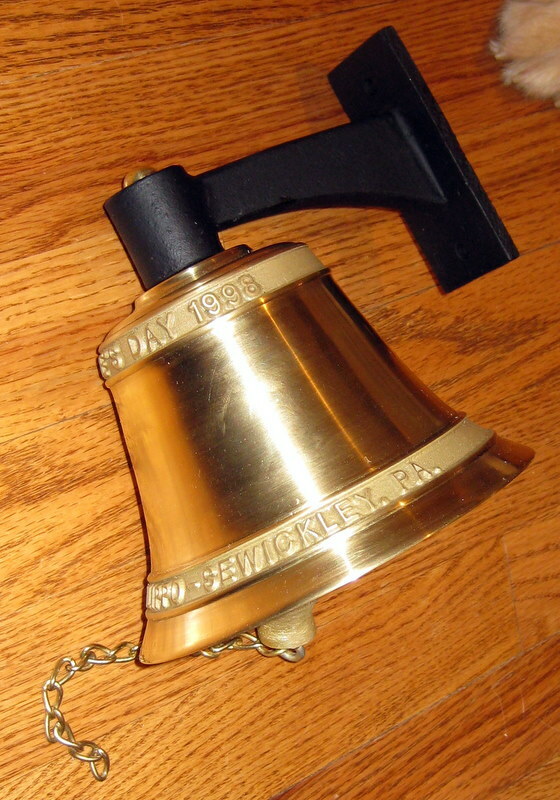 My wife wanted a “dinner bell” for Christmas, and I found “Hisey Bells” through the internet and ordered a custom cast bell (6″) that included our names and wedding date from way back in 1998. The photos below are the result. We are very pleased. They are professional, and great to deal with and make beautiful bells. Posted on January 14, 2010, in House Projects. Bookmark the permalink. 1 Comment. Very nice and unusual for a gift, I particularly like that you can get it inscribed with a personal message rather than just the standard wording.